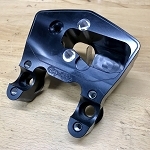 GROM WoodCraft Rearsets Standard or GP Shift! 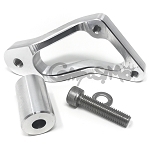 Home > GROM > Rearsets > GROM WoodCraft Rearsets Standard or GP Shift! The Full Kits include Woodcraft's 3-piece Pedals giving you an even stronger assembly and continuing our tradition of easy part replacement. Rearset kits are CNC machined from 6061-T6 billet aluminum and offer more than twice the durability of OEM rearset brackets. Each kit is custom tailored for rise and setback. Rearsets have proven their worth hundreds of National and Regional Championships. Any individual piece is available for replacement parts if needed.